Human Rights Violations in African Traditional Religion: The Masquerade Example. Rev Fr Dr Christian O. Ele, Ph.D. This paper discusses Human Rights Violations in African Traditional Religion with a conscious focus on its masquerade administration. At its face value, masquerades are understood to represent entertainment and visitations by the spirits from the land of the dead. However, the contemporary trends show that masquerade institution is shrouded in secrecy known only to the members of the cult. On the outside, they violate the freedoms and rights of people with only flimsy a reason that it is people’s culture. The bad effects of its practice outweigh its positive dimensions in today’s world. 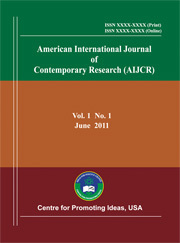 The findings of this paper reveal, among others, that masked men who make others believe they are spirits have imposed on the larger society the burdens of atrocities which public responsibility demands that they must be treated with every sense of urgency and seriousness in order to put an end to the evil consequences of their operations. No one has any rights to violate the rights of others. In fact, one’s rights stops where the other’s begins. The challenges of masquerade culture include pastoral, cultural, economic, security, moral, social and political issues to mention but these few. The methodology employed in this work is historic-descriptive as the masquerades have been studied as a cultural practice with special interest on its human rights violations.